Visual artist and performance maker Hetain Patel returns with his fifth show for the stage. Following his critically acclaimed American Boy. 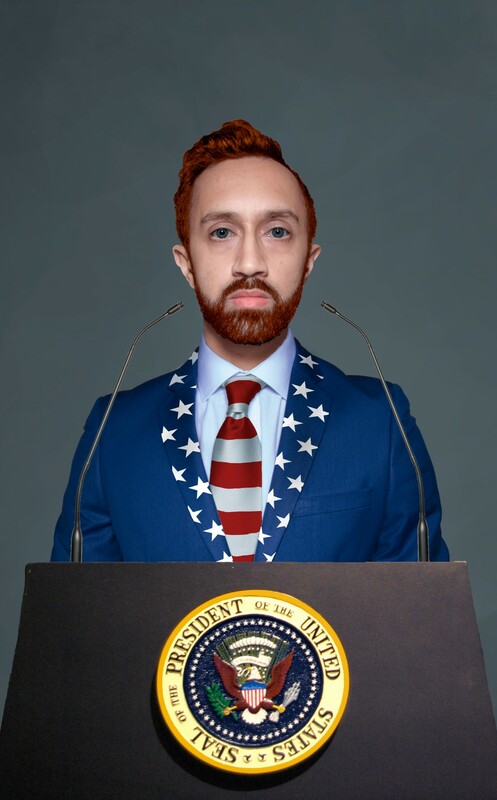 American Man imagines a not too distant future where celebrity power and political correctness have reached new heights; where Barack Obama’s post Presidential job is the new head of Apple computers; where Stephen Hawking and Ophra Winfrey provide live translation for political speeches and rap concerts. Combining seamless vocal and physical impressions with his characteristic wit and humour, Hetain Patel presents a dystopian outlook on a world where personal freedom walks hand in hand with guilt. Post-show talk with Hetain after the preview.